Gosport resides in Owen County, alongside the West Fork of the White River located at 39°20'59?N 86°39'56?W. According to the United States Census Bureau, the town has a total area of 0.39 square miles (1.01 km2), all land, it was platted in 1829, and the elevation is 696 feet. The town of Gosport has a rich history—it is the only town along the 10 o’clock line, a boundary line created by the United States and the Miami Native Americans. The community is proud of its heritage, yet understands continued development is key to maintain thriving town life. A grocery store, dentist's office, doctor’s office, hardware, and diner are located in the downtown area. 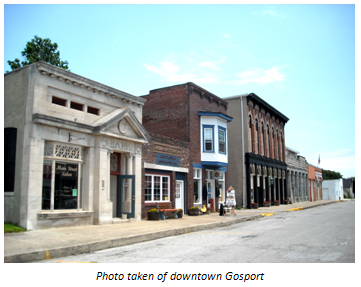 Gosport has successfully kept its downtown thriving, which is an for a town of its size. John King, an active Indiana Main Street member, states “Gosport needs to move forward, you can’t stay with what you have.” By reaching out to OCRA, the town of Gosport has jumped in headfirst in its process of moving forward. The town’s Indiana Main Street group, named the Gosport Business Association, realized the need for a downtown facelift, so it applied to OCRA and received a Community Focus Fund planning grant in 2008. The plan includes ideas, cost estimates, and a timeline for new sidewalks, lighting, streetscape, and other design elements. The station is powered by a Ambient weather station. The data is collected every second and the site is updated every 5 seconds using Cumulus Software. The station is comprised of a rain gauge, wind gauge, and temperature gauge situated in an optimal position for highest accuracy possible. 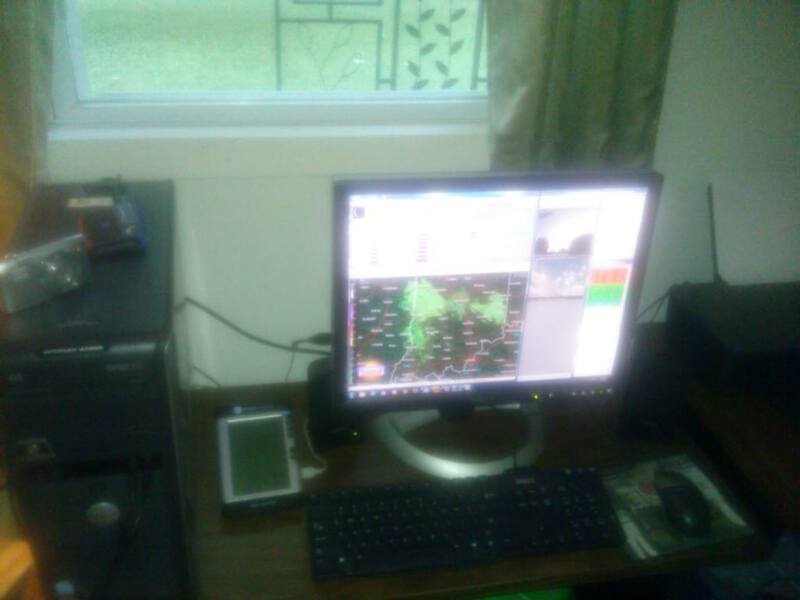 This website was created on January 19th, 2013, and has been providing the town of Gosport, IN with live weather data ever since! 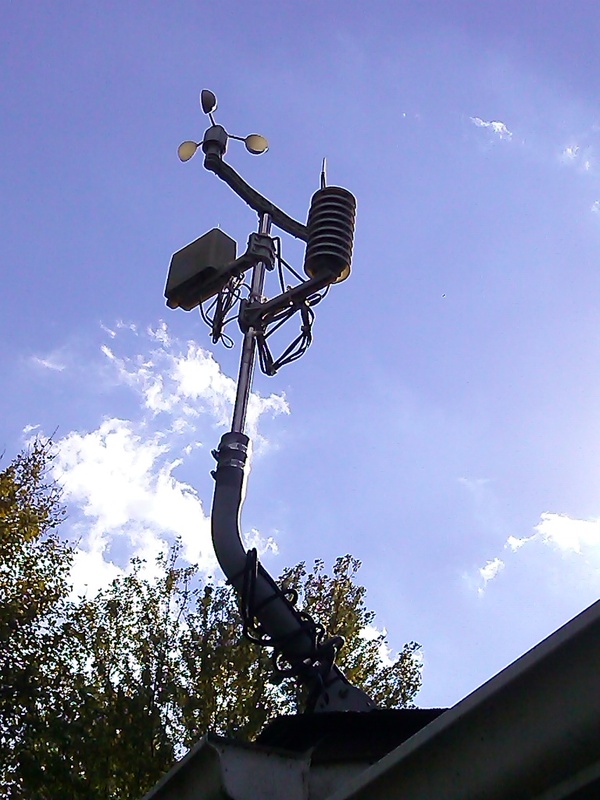 The Ambient weather station console receives data from the various sensors. The console is then connected to a computer (on 24/7) with 6GB of RAM running Windows 7. A software program called Cumulus captures all the data and then FTP's (File Transfer Protocol) the information to the website for everyone to see (currently hosted by E-Rice). Windows Task Scheduler is running scripts on a home built PC every 5 minutes to 60 seconds checking for alerts from the NWS. The PC i use is pictured to the right.